The neo-aortic insufficiency in patients with hypoplastic left heart syndrome is an important sequela. We assessed the risks of the neo-aortic valve deterioration by the difference of initial palliations: Group I underwent primary Norwood (Nw) with systemic-to-pulmonary artery shunt (SPS), Group II underwent bilateral pulmonary artery banding (bPAB) and subsequent Nw with SPS (bPAB-Nw/SPS), Group III underwent bPAB and subsequent Nw with bidirectional Glenn (BDG) procedure (bPAB-Nw/BDG). The neo-aortic valve z score changes over time did not reach statistical significance in all groups (p = 0.43 for Group I, 0.20 for Group II, and 0.30 for Group III). The degree of neo-aortic valve insufficiency did not change significantly over time during this period except for Group III (p = 0.34 for Group I, 0.20 for Group II, and 0.02 for Group III). 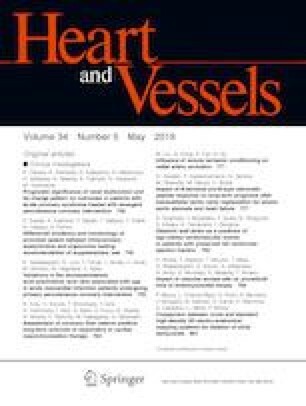 On the other hand, dimensions of the neo-aortic annulus and degrees of neo-aortic insufficiency did not differ significantly among the 3 groups at any pre-determined time. The presence or absence of incision into the sino-tubular junction at Nw did not affect the late neo-aortic valve z score or insufficiency. These data indicate that the difference of initial palliative procedures does not affect late neo-aortic valve insufficiency in Nw survivors. Because valve failure may develop in longer follow-up, further observation should be conducted.